I know right! I can’t believe it’s finally arriving! Fans waited for three years for news; for anything about the Resident Evil 2 Remake. Even a screen shot or gameplay leak, but Capcom must’ve had this on tight lockdown. While E3 this year has been pretty underwhelming, there were a few great surprises, including RE 2. I’m super hyped for this and can’t wait as I’m a massive fan, but while watching the gameplay footage from E3 this week, I had a few questions. From what was shownat E3, the remake looks glorious. With great pacing, high levels of intensity and elements that build upon on the original game. Now I’m happy for changes to happen as long as they encapsulate what made the original material great. Plus there’s a chance to rework and improve the flawed elements. Although, there is a change to the survival horror formula here. Following RE 7 in some respect, with a more linear approach to the game’s campaign. For instance, Marvin’s introduction has changed. The hall was majorly restructured and the statue in the center of the main hall plays a more important role. While before in RE 2 you were left to roam free to discover, the mission objectives were clearly issued. The police station still has a gothic charm to it with surreal mechanisms wand certain doors locked with fancy keys. but now there’s even more grounded elements at play here. Areas which are blocked off by more particle methods such as shutters and chains. There’s even moments you can barricade windows in various corridors, which is actually something you did in the original game. Then other changes have taken effect such as the licker segment. But this could be like how the RE Remake changed when the dogs came through the window in that infamous moment. We can expect more changes and I have no problem with this as if it were a beat for beat remake, then it’d be extremely pointless. It’s nice to know the framework will be the same but there are definitely tweaks and changes to freshen it up. Adding further, it appears we’re getting elements from the infamous Resident Evil 1.5 game (which was originally going to be RE 2 back in 1997) and this has been something fans have wanted for since the dawn of RE. There was plenty of gore on display and wow was it effective. I’ve always found many zombie games to be too clean, lacking in gruesome details that add depth to the world. 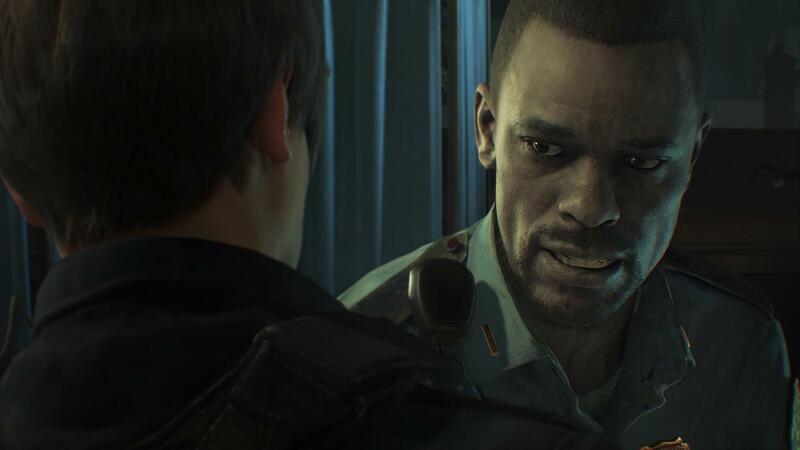 Observing the aftermath of the zombie outbreak in Raccoon City is absolutely horrifying and certain set pieces in the E3 demo showed off gruesome deaths with the zombies looking varied and highly detailed. I love when Leon enters the section on the right of the building, which has been locked off. When he enters this area after lifting the shutter, there’s blood and bodies everywhere! It looks immense and really fits this new tone the developers are going for. The dismemberment system looks immense and adds an extra layer to the combat mechanics and survival gameplay. Plus, it looks awesome and a mechanic which has been rarely seen in Resident Evil, since it had such an impact in the original 1996 Resident Evil. I’m surprised more horror games don’t implement this system, as Dead Space advanced it back in 2008. Now I don’t mean the increase of gore (which is pretty immense), but rather the fact there’s whole areas bathed in complete darkness. I like the tone and various elements Capcom have implemented into the re-imaged world of Resident Evil 2. Features such as rain, water and darkness play an important role in creating the intense atmosphere and striking visual style. Whole areas of the police station were bathed in total darkness. This makes sense as these areas are abandoned and sealed off due to zombies. It also works as a means to help balance combat with the overwhelming number of zombies. Even though it feels a little cheap as you can barely see anything without the flashlight out. This will obviously leave players open to some pretty cheap attacks that could get a little annoying. Maybe allowing lights to be turned on would be a neat idea, but of course this could mean it draws in more zombies from the outside. If tweaked right, this could play out really well. This could be in just the police station, but darkening out other areas could be seen as tedious. Still Capcom developers have advised their tweaking the difficulty and combat. There’s self defence aspect which would indeed be a good compromise. Now don’t worry, as of this moment, the giant alligator will return as Capcom has stated near the end of E3. However, there will be some changes to this boss fight and this doesn’t excuse the fact that rumors had spread of Capcom cutting this iconic boss. Then, Capcom confirmed they had actually considered cutting the alligator boss as they felt it wouldn’t fit the tone the remake’s tone. It’s been explained that Capcom will make some changes and alter the “scale” of the boss instead of cutting it. Yet it’s weird how they thought to cut the boss out as it didn’t fit the remake. Despite the classic enemies and the fact that the last Remake had the Neptune in it. The giant shark, which was the best boss of the game, is no problem, yet an giant alligator is? Worrying? Yes it is. Capcom have been known to pull off some stupid decisions with their series. What else would they change? The giant moth boss? Well I’m sure we could live without that. But then what about Zombie Brad and other small touches too? Death of the first-person view? Now it’s clear that many fans didn’t like the move from 3rd to first-person in Resident Evil 7. I really like Resident Evil 7 and believe Capcom should at least do another game from that perspective, but it was unclear for years on whether RE 2 Remake would be in first-person too. That’s not the case and Capcom might’ve stated in a subtly aggressive way that the first person view might be completely dead. The beginning of the trailer seen from the first-person view of a rat sculling around until that shelf falls onto it and we say goodbye to poor ratty. This is a clear nod that RE 2 remake won’t be in first person but could it also mean that the next chapter (RE 8) would return to 3rd as well? In recent years, Capcom has followed what the fans want. 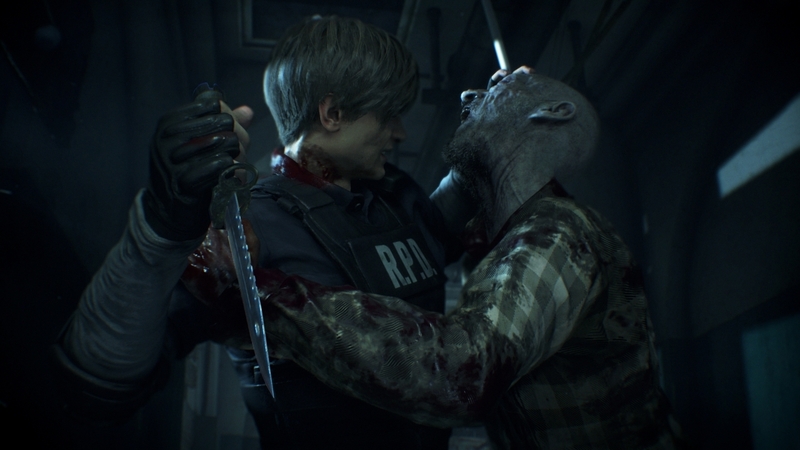 If RE 2 is a smash hit (which it will be), then maybe RE 8 could ditch the first-person view. It’s a shame if so and I can’t help but blame RE 2 Remake for that. I really liked RE 2 back in the day and I love what Capcom have done for this remake. They’re on track for a big hit and something the fans can respect and admire for generations to come. It’s a shame Capcom are giving signs that RE 8 might ditch the FPS aspect. There’s potential and I was a little curious to see if RE 2 would be in the First Person view, making it a bolder, more ground breaking remake, rather than playing it a little safer. Still, it looks awesome! Just another 200 days to go until release.